Rome has thousands of years worth of history, amazing sights and attractions, and awesome bars and clubs. But you don't have thousands to spend on accommodation. So how do we do Rome on a budget? The answer is easy: hostels. Rome has plenty of options for budget travelers to find a place to sleep, but which hostels are the best? We've put together this overview of the best hostels in Rome so that you can find the one that's right for you. So, if you're looking for a place on a budget as a backpacker, or in a good location, or a place to party, or a place to relax as a couple or a family, then you can find it on this list. 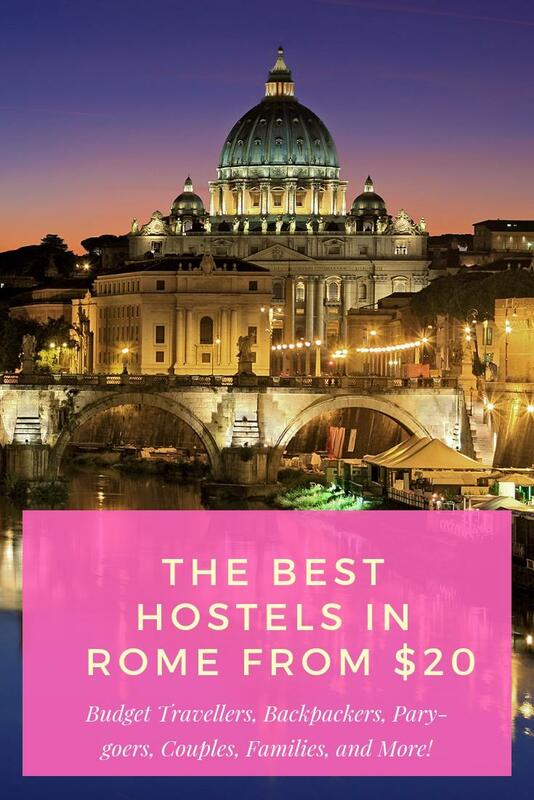 The good news is that Rome's hostel scene is competitive, and that means lower prices and more choices for all of us. All roads will lead to your Roman hostel (sorry, I couldn't help it). So, let's get started. 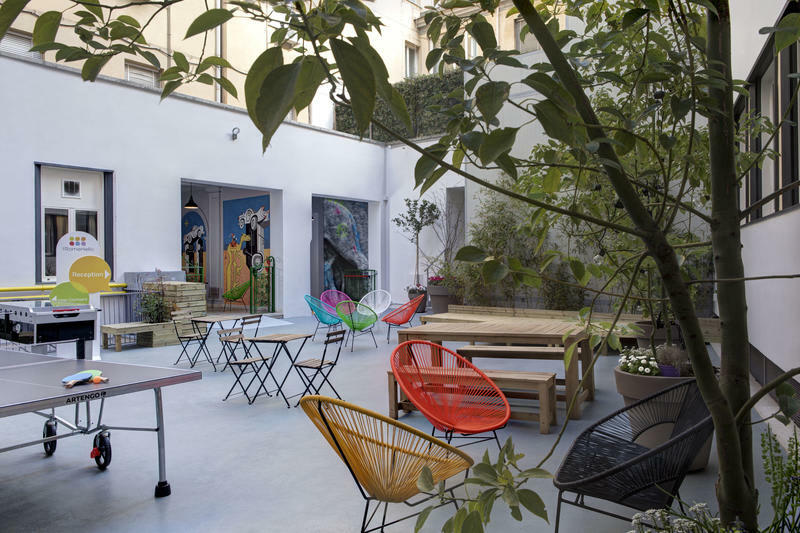 Here's our list of the best hostels in Rome for every type of traveler. By far one of the most popular hostels in Rome, this place has over 10,000 reviews which have given it a great rating. 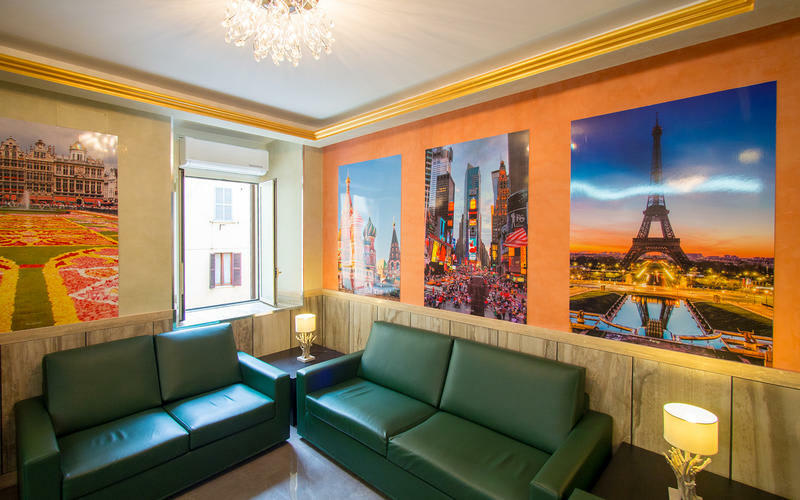 With its terrific location close to Termini Station, friendly staff, and active social scene, Alessandro Palace is a great hostel for travelers who are looking for a comfortable place with a diversity of people to meet. It has a reputation as a party hostel, so be prepared to spend some time getting to know your fellow travelers. It has it's own onsite pub and satellite television, and it has some great drink specials available to guests. 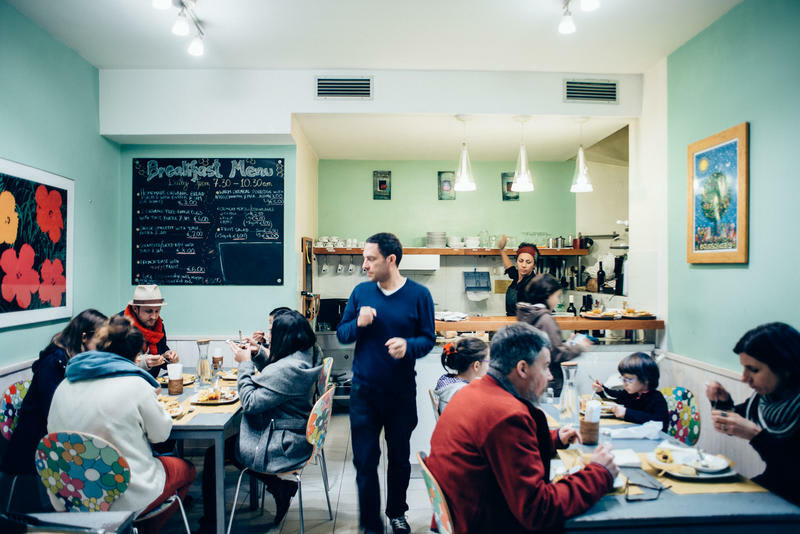 Alessandro is also popular for its frequent pizza parties, happy hours, and in-house events which create the perfect opportunity to meet other guests and plan your outings in Rome, either during the day or at night. The architecture at Alessandro is also impressive. It has a traditional Roman style that creates a unique and one of a kind atmosphere. The long list of amenities includes a roof-top garden area, a kitchen for cooking your own meals, ensuite bathrooms, air conditioning, a discount to breakfast and other meals at the restaurant, lockers, wi-fi, and more. Room choices include dorms and private rooms. An all-female dorm option is available, too. Some of the dorms have ensuite bathrooms, while all of the privates do. A private room here feels like a hotel room, with the added benefit of the social atmosphere of this amazing hostel. As stated before, over ten thousand reviews have been left for this hostel, leaving it with a great rating. One reviewer said, "Great hostel in a good location a few blocks from Roma Termini. Nice clean rooms and bathrooms. If you want a social atmosphere definitely hang out at the hostel bar. Friendly and helpful staff." Check out more reviews. Known as a relaxing and chill hostel with a warm social atmosphere, the Beehive is one of Rome's best hostels for anyone who wants a comfortable place to stay. 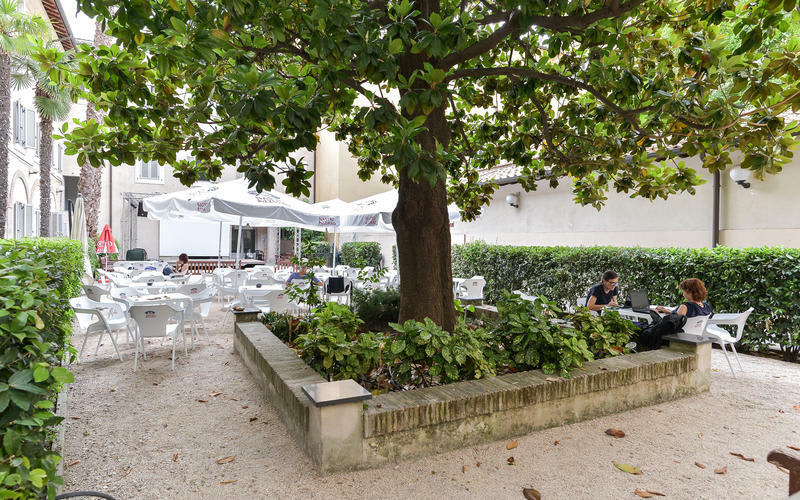 The location is also terrific, being right near Termini Station and a few metro stations. You'll have Rome at your doorstep with a friendly staff to help you plan your days. This hostel definitely has a personal feel to it. The rooms are clean and comfortable and the hostel has a warm atmosphere that is perfect for meeting fellow travelers. Independent travelers are welcomed and encouraged to mingle. Rooms come is a variety of types and sizes, including dorms and private rooms. An all-female dorm option is available, too. Both shared and private bathrooms are offered, so you can pick your price. The hostel also offers a variety of amenities to guests. They have a vegetarian cafe serving breakfast, along with dinner several days a week. They also offer Italian cooking classes, which is a great way to learn about the food while meeting your fellow guests at the same time! Other amenities include a small kitchen for cooking, an outdoor courtyard, lockers, air conditioning, wi-fi, laundry, and more. If you're traveling alone, then this hostel is a perfect place to create a home away from home. You'll likely make friends that may last a lifetime. Earning a great rating, this hostel has plenty of terrific reviews. One reviewer said, "One of the best hostels I have stayed at. Good facilities and spotlessly clean, but over and above this manages to create a genuinely warm and welcoming atmosphere - very friendly and helpful staff who make it feel more like you are staying with friends. Highly recommended!" See more reviews. 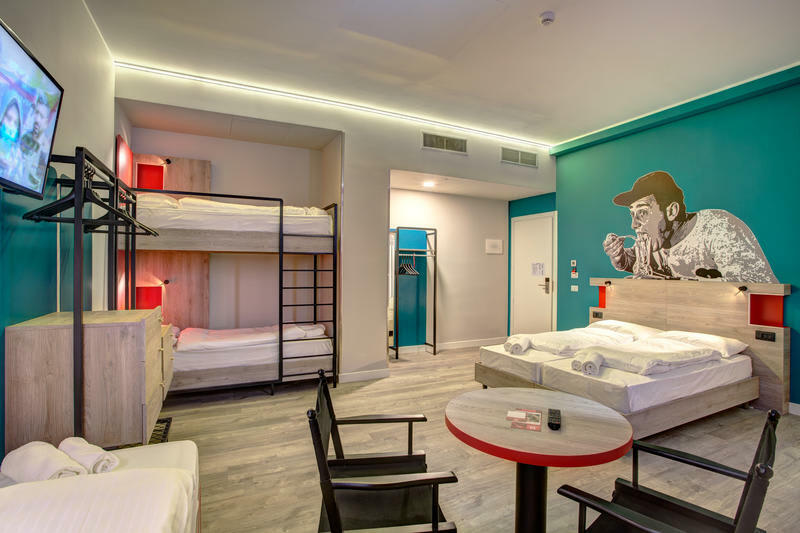 This self-proclaimed party hostel has won awards, including the 2019 "Hoscar" best hostel award (they have won it every year from 2014 to 2019!). It has an on-site bar, as well as a staff that is knowledgable about the nearby bars and clubs to keep the party going. It's also in a great location right near Termini Station and several Metro stops. The Yellow's party reputation seems to be well earned because they organize in-house parties that go late into the night. 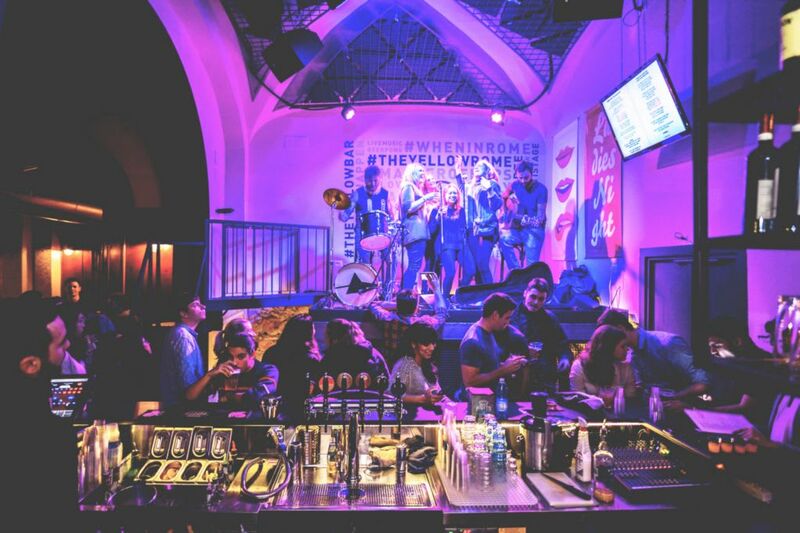 So, if you're looking for a great social scene, a lively crowd, and a place that will keep you entertained, then don't miss this legendary hostel. A long list of amenities is also provided. They have food available all day, and a cheap breakfast to get yourself going after all that happened the night before. They organize walking tours, too, so that you can at least see some of Rome during the daylight. A kitchen is available for cooking, and other nice things to have include air conditioning, hot water, lockers, laundry, a travel desk for booking tours and transportation, and more. The common areas are nice as well. In addition to the bar and restaurant, they have an outdoor terrace, billiards, games, and more. Dorms and private rooms are available. An all-female dorm option is offered, and some of the dorm rooms have ensuite bathrooms. Private rooms are a good option if you want to avoid the clamor, too. With so many awards and a long list of great reviews, it's no wonder that this hostel is so popular. Catrina said, "Met some lovely people. You can tell that the staff really want to make their guests happy; there were so many events during the short time I was there! They had lock boxes for your baggage, small safes for valuables and everything was clean and comfortable. It was nice to be in a "party atmosphere" but be able to sneak away when needed. For a first time solo traveller, it was all great. Highly recommend this place - Thanks, guys!!" See more reviews. In addition to the Alessandro Palace we mentioned earlier, this other branch is very popular as well. 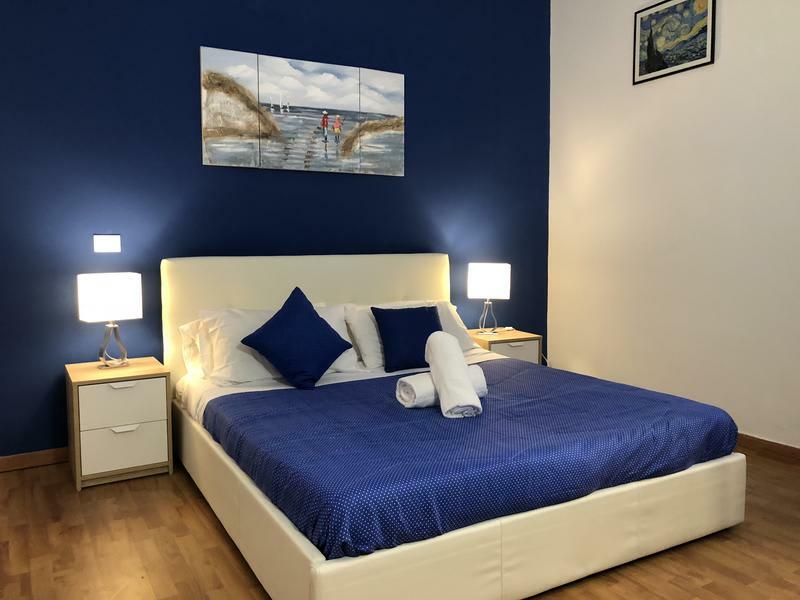 Located near the Termini station, it's worth checking out because it has a long list of amenities, modern facilities, good prices, and a brand new bar. 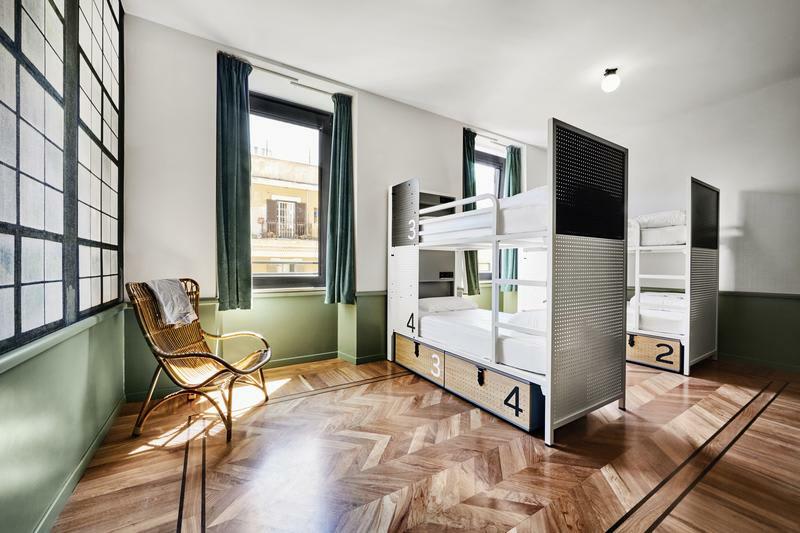 The Generator chain of hostels in Europe is very popular because they combine affordable prices with nice amenities in a large, social atmosphere. The Rome branch is no exception. Here you'll find a modern and well-designed hostel with plenty of options for everyone. As an added bonus, the Generator in Rome is in a terrific location, too, right near Termini station and an easy walk to the Colosseum. Across the street is a fun and vibrant food market which makes for a great place to grab a snack or ingredients for a picnic. Located in a great building with seven floors, this hostel has a little bit of everything. The lower level has a restaurant, bar, and relaxing lounge, all of which make for a fun place to meet other guests. The rooftop terrace is another spot for meeting others, and it also has some great views over Rome. Dorms and private rooms are available in a variety of sizes and prices. There is literally something for everyone with this many options. The facilities are modern, the rooms are nicely decorated, and the beds are comfortable. An all-female dorm option is available, too, and dorms have ensuite bathrooms. As part of a chain, you know the quality standards are high. The Generator has received plenty of positive reviews. Paula said, "Excellent place to stay in Italy, super close to the metro so you can mobilize easily. They have an amazing bar/restaurant on the first floor, with great beer and a nice breakfast. Rooms and bathrooms are clean and very important the spaces are big, so you won't be in a small hostel where not even your bag fits. People are very nice and helpful (guests and hosts)." Read more guest reviews. Legends is a nice hostel in a great location with a social atmosphere. You can't go wrong here. It's right around the corner from Termini station, and a close walk to a few other Metro stations, too. A grocery store is nearby if you want to buy your own food for a meal in the communal kitchen, or take it on a picnic. The common areas are relaxing and clean, and make for a great opportunity to meet your fellow travelers. The staff organizes a wine tasting happy hour in the evenings as a way to get guests to meet one another. The atmosphere is relaxing but social. The staff is very friendly and will make sure that your stay here is fun and enjoyable while you see Rome. The hostel offers both dorms and private rooms. Some rooms have ensuite bathrooms, so guests have a range of pricing options. A female-only dorm is available, too. The rooms and bathrooms are kept clean, unlike some of the other nearby hostels. Other typical amenities are available such as wi-fi internet, luggage storage, lockers, free bed linens, and more. They even offer a small free breakfast. Guests reviews have been very positive. With thousands of reviews, guests have called out this hostel for having clean facilities, a nice list of amenities, and friendly staff. One reviewer summarized it nicely by saying, "This hostel is GREAT! I stayed for 4 nights. The free breakfast was yummy and the free wine at night was an awesome way to meet people and was a great way to bring people together. Definitely recommend if you are traveling alone! Very prompt, helpful staff. They were very nice and had great tourist maps. The hostel is incredibly secure!" Read all guest reviews. Located to the northwest of Termini station, near the Republica Metro station, this hostel is situated perfectly in the center of Rome. With great access to the Metro and within walking distance to pretty much the entire city, you can't go wrong here. And beyond the location, RomeHello is also a great hostel in general. It was ranked number one for the best new large hostel in 2019, as well as receiving an award for best hostel for solo female travelers. Billing itself as a place for everyone, this hostel offers a variety of room types, a long list of amenities, a fun social atmosphere, and some very nice common areas. 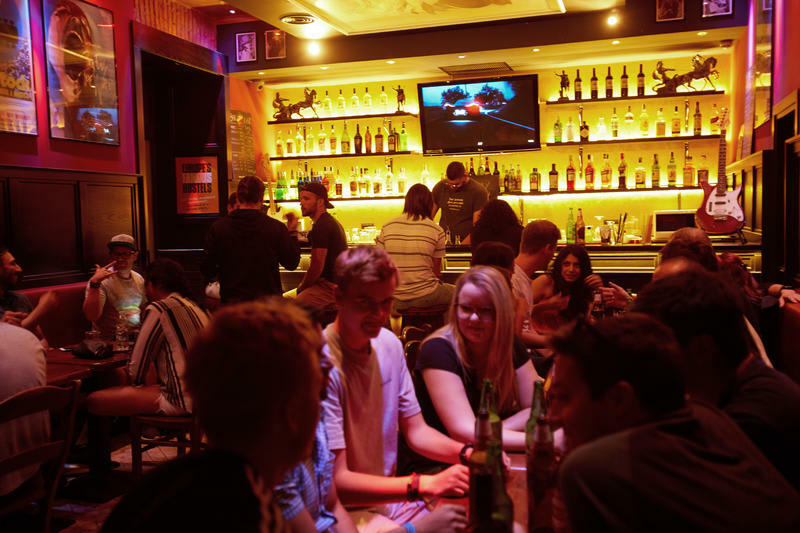 The onsite bar is just one of the great places in this hostel to meet up with fellow travellers. Why not also enjoy the patio with ping-pong, the well-furnished kitchen for cooking your own meals, or the affordable and amazing buffet breakfast. Dorms come in several sizes and price ranges, and an all-female dorm option is offered. Private rooms are also found here. Every room has a clean, modern ensuite bathroom. Dorm beds have plugs and lamps, and some private rooms have refrigerators and TVs. You really can't go wrong here. As a new hostel, they have already received thousands of positive reviews. One reviewer stated, "This place EXCEEDED expectations. I felt as if I were staying in a hotel room! Everything was extremely updated and clean! The restaurant next to the hostel is a little pricey but gives you 10% off because you are staying at the hostel. The food was great and so was the breakfast! 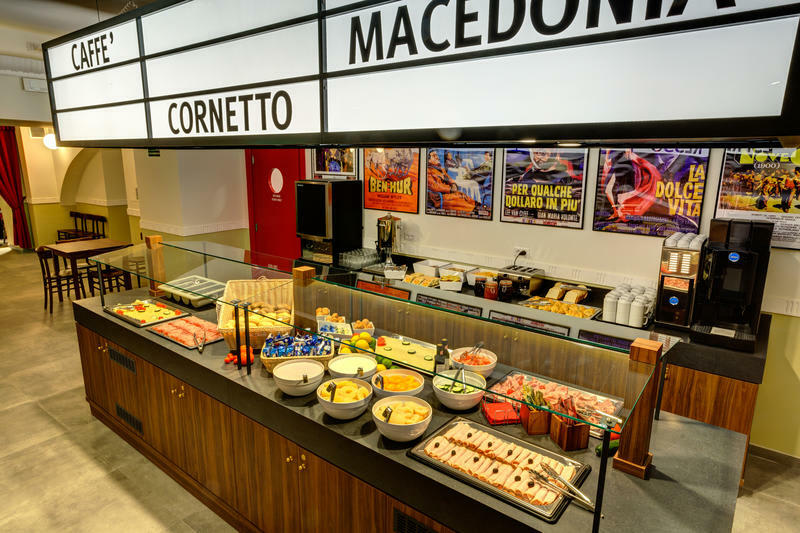 The breakfast was 7 euro which was all you can eat and had many food options to choose from." More reviews. This is a nice hostel that checks all of the boxes. First of all, it's in a convenient location very close to Termini station and the Metro. Second, it has nice private rooms at an affordable price. Third, it offers a great social atmosphere without being too rowdy or loud. The private rooms here are very nicely appointed, especially for the price. Many have ensuite bathrooms with very clean and modern facilities. The dorms are also clean and modern and come in a variety of sizes. The staff organizes a wine and snacks happy hour every evening so that guests can get to know one another. There is also a small free breakfast of pastries and coffee in the mornings. The common room has a TV for relaxing. Another nice perk is the communal kitchen which is nice for cooking your own meals or hanging out with other travelers. This hostel has been around for a while and has earned a great reputation. With over five thousand reviews, their rating is excellent. One of the guests said, "I have stayed in a lot of hostels and this has been the best one yet. The staff was always friendly and willing to help with any questions I had. The rooms were cleaned everyday and each room had its own private bathroom which was super convenient. Additionally, coffee and pastries were provided each morning for breakfast and there was a happy hour every night." See more reviews. 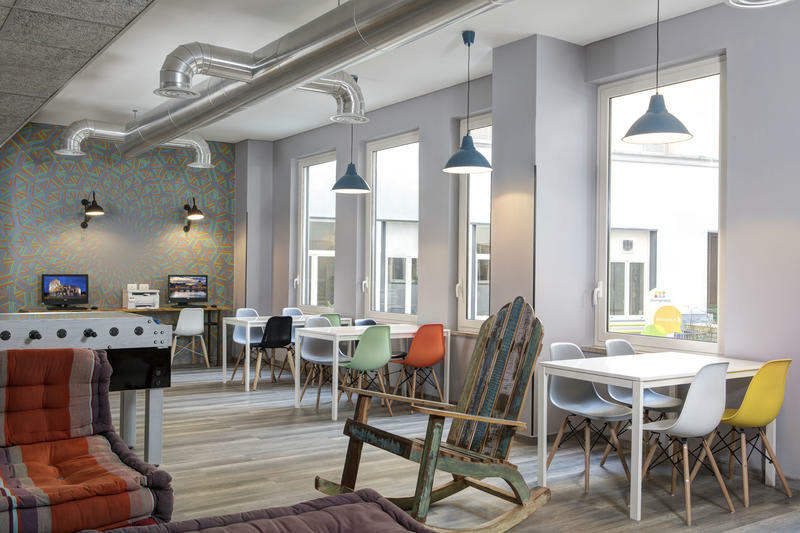 This hostel is part of a chain of quality hostels across Europe. What this means for you is reliable and modern conveniences, security, and a comfortable place to sleep at an affordable price. The location is right in the middle of Rome near Termini station, walking distance to the Metro station and the main train station. You can be anywhere in the city in a matter of minutes. The building itself is well designed. The common areas on the first floor are quite nice. The kitchen is modern and makes a great place to cook your own meals or chat with other travelers. They even have laundry machines! A buffet breakfast is offered at a reasonable price, and makes for a comfortable way to get the day going, especially for the kids. Private rooms come in a variety of sizes depending on your needs. Some rooms have a mix of larger beds with bunks, which the kids will love. Ensuite bathrooms can be found in many of the private rooms. Dorms are also offered if that's what you're interested in. The photos and reviews say it all: a very nice and modern place with a fun atmosphere. This place has earned a terrific rating from previous guests. One visitor summed it up nicely: "Very close to train station and not that far a walk from the main tourist sites. The yellow bar is also right beside it which is a great bar/club to meet locals and other travelers. Meininger is still far enough from the clubs however that you can get a good night sleep when you do go home. Air-con, really clean rooms, friendly staff. All-in-all a great hostel." See more reviews. 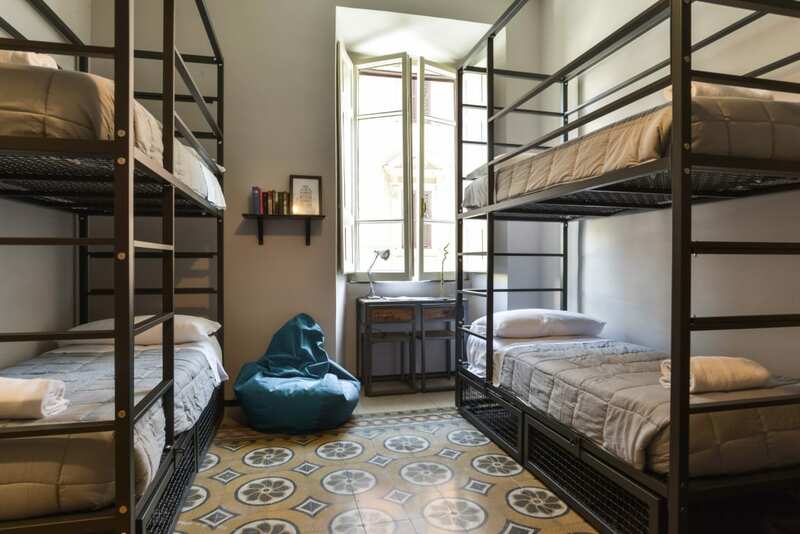 Several hostels in Rome can support larger groups. But keep in mind that some hostels allow certain types of groups but not others. School or student groups are usually welcome. However, if your group is a stag party, bachelor party, or another party-oriented group, then many hostels might reject your booking. It's often best to contact the hostel directly to find out what their policies are about larger groups. If you're looking for a place for a larger group to party, you should see the list of party hostels provided above. We reviewed Legends above in our Best Budget Hostels section. They have a nice list of amenities and can handle larger groups. This hostel is part of a chain, and we reviewed them above in our Best Hostels for Families section. They have many larger rooms which can accommodate smaller groups. The facilities are nice, secure, and comfortable. This self-proclaimed "cosmopolitan hostel" has a mix of dorms and private rooms in a relaxed and comfortable setting. Located near Termini station but a little bit away from the crowds, you'll find this hostel to have everything you need without the noise. Their photos show it all: nice dorms and private rooms, but without bunks. The shared and ensuite bathrooms are modern and clean. The common areas are relaxing but not overwhelming. Amenities are nice, and they offer everything you would expect such as linens, wi-fi, tour booking, lockers, a TV, and more. And, of course, the price is low. Guest reviews have been very positive, and the overall rating is excellent. One guest said, "Very cute hostel. Stayed with three friends in a four bed dorm, were very happy with everything. The room was huge, no bunk beds and everything was very clean. There were several shared bathrooms on the floor, so sometimes we had to wait to shower at night but it was never more than a few minutes. About an 8 minute walk from the termini train stop, with a few different metro lines that had stops a little closer so it was really easy to get around the city." See all guest reviews. 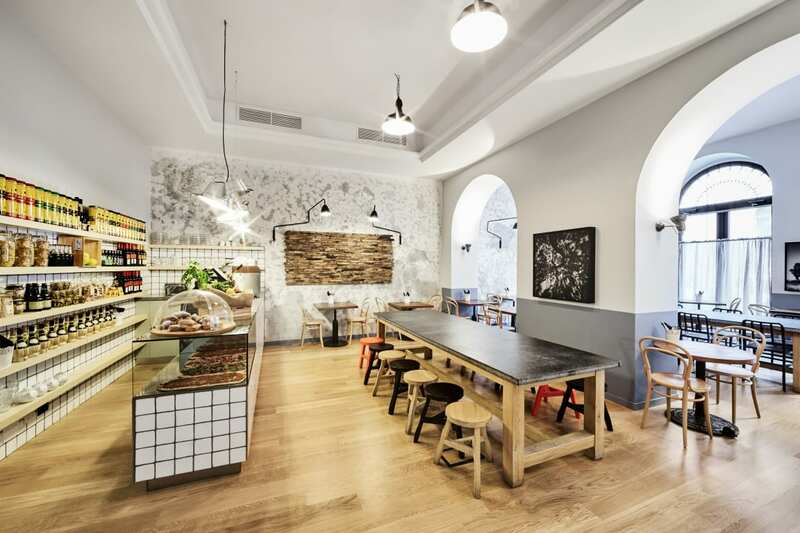 This all-female hostel is located in a former convent building. The location is quiet and convenient, as it's on the western side of the center of Rome, just south of the Vatican. The all-female staff is here to help, and provides information on the sights and attractions as well as practical information about getting around Rome. Dorms are available here in various sizes and at various prices, but all are quite affordable. The list of amenities is also long. The kitchen is available for cooking, and also makes for a nice spot to meet other guests. As does the on-site restaurant and cafe, and the outdoor patio seating area. They also have wi-fi, laundry, lockers in the dorms, luggage storage, modern bathrooms, and games. With thousands of guest reviews, this hostel has earned a great reputation. One of the guests said, "The staff were all very nice! This town is very authentic. The location is good if you want to experience something more mellow, outside of tourist area. There's a lot of local restaurants close by, so as bars at night. And many local shop open in the same area during the day. I really enjoyed the neighborhood during my stay. By the way, this hostel does hold luggage before check-in & after check-out time for free." Read more reviews. Budget Your Trip is all about finding out how much everything costs so that you can travel cheaper and longer. With average daily travel costs that are calculated from the budgets of real travelers, you can find out how much money you need to plan your next adventure. On this website you can also find travel advice, accommodation reviews, and activity suggestions.